The Bamboo Treatment Brush by Mahalo Skin Care is the perfect companion to mix and apply the heroic Petal Mask, The Bean, or any at-home face treatment. 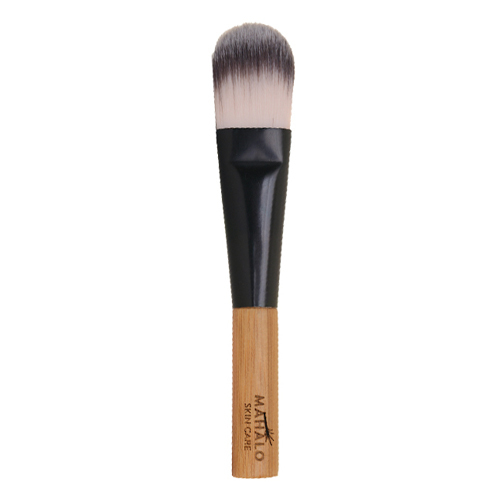 Sturdy and sustainable, the soft bristles evenly apply your treatment for perfect coverage. This brush is so useful for someone like me who doesn't like dipping fingers into jars. It helps spread product evenly and I especially love it for this one mask that smells of rotten chocolate. It's a far more pleasant experience when that stuff isn't all over your fingers. This brush is super easy to clean. I have purchased cheaper masking tools where the product gets trapped in the bristles and no matter how vigorously I wash it, the stuff never comes out. A must for frequent masker.